Street Fighter has long been the poster child for the fighting game genre, and it's not hard to see why. Even with the missteps that SFV took at launch, its mechanical depth and the quality of its characters combined with a new ease of use for those less experienced to make it one hell of a title. 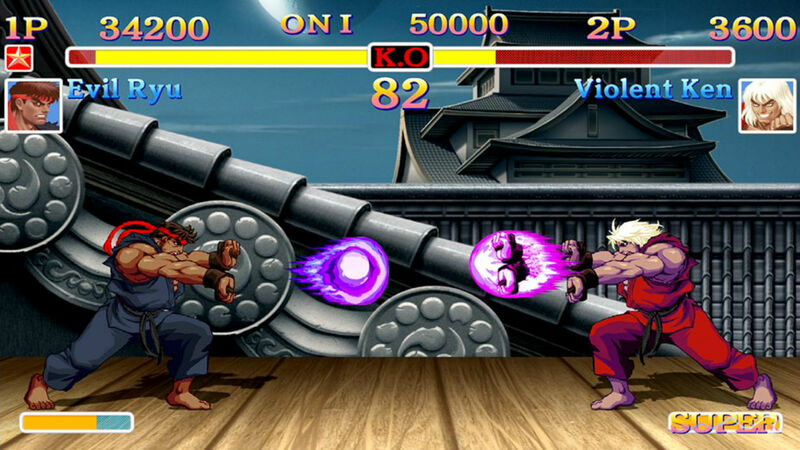 The series has enjoyed prestige ever since the legendary Street Fighter II helped define the genre. There are a whole lot of people out there with some heavy nostalgia for that classic, and Capcom is hoping they'll come back for one more bout on the Nintendo Switch. Ultra Street Fighter II: The Final Challengers is yet another return for the old-school fighter, but this time it plans to come back with a bit of style. USF2 not only features everything that made Super Street Fighter II great, it also adds two new characters — Evil Ryu and Violent Ken. I guess the one that kicks everyone in the face with his flaming feet wasn't violent enough. There's more, though. The game features a new, modernized graphic style, but if you prefer to stick to the old pixel look then that option is there for you. The game utilizes the Switch's joy-cons for a new mode called "Way of the Hado," a first-person experience where you'll have to fight off the Shadaloo with hadokens and shoryukens. There's also a new "Dynamic Battle" mode where you and a friend can team up to take down a CPU opponent, allowing you to create some crazy two person combos. It features local and online multiplayer as well as a 250 page digital artbook for you to peruse. Ultra Street Fighter II will run you $40 when it launches on May 26 for the Nintendo Switch.